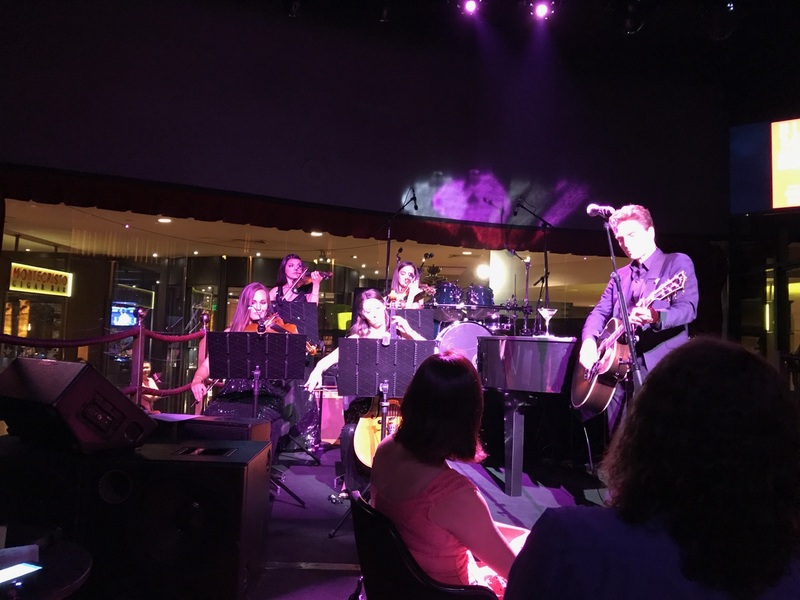 On July 17th, the girls and I had the incredible opportunity to perform at Cleopatra’s Barge in Caesars Palace, with none other than Richard Marx! The show was private for media/press and VIPS to show a glimpse of what is to come in the fall, when Richard comes to Vegas. Richard will be in Las Vegas for his residency from August 15 – September 2 at The Donny and Marie Showroom located inside The Flamingo. Christina, Carissa, Zuzanna aka Zuzka, and I showed up at the Barge for sound check at 5 pm. We were so excited to play on our acoustic instruments to add a more soft and intimate style to the show. While we were sound checking, I looked up and saw Richard Marx walking to the stage. Although I have played for him before, I was in awe. The girls and I were so blown away by how Richard sounded EXACTLY like he does on the radio. To add to that, he is incredibly nice and extremely professional. We ran through our songs and quickly got ready for the show at 7 pm. The show started with just Richard with his guitar performing his song, “Don’t Mean Nothing.” The song is upbeat and fun to groove along to! He brought the girls and I onstage after, and we performed the remainder of the set with him. It was really cool to perform on a stage we are very familiar with, in such an intimate setting with a super star! We concluded the show with Richard on the piano. The audience cheered after he played the first couple of notes. Everyone knew “Right Here Waiting” was sure to come. The arrangement of the strings and Richard singing while playing the piano was a show stopper. The crowd sang along and I couldn’t help but smile and really appreciate that moment in time. 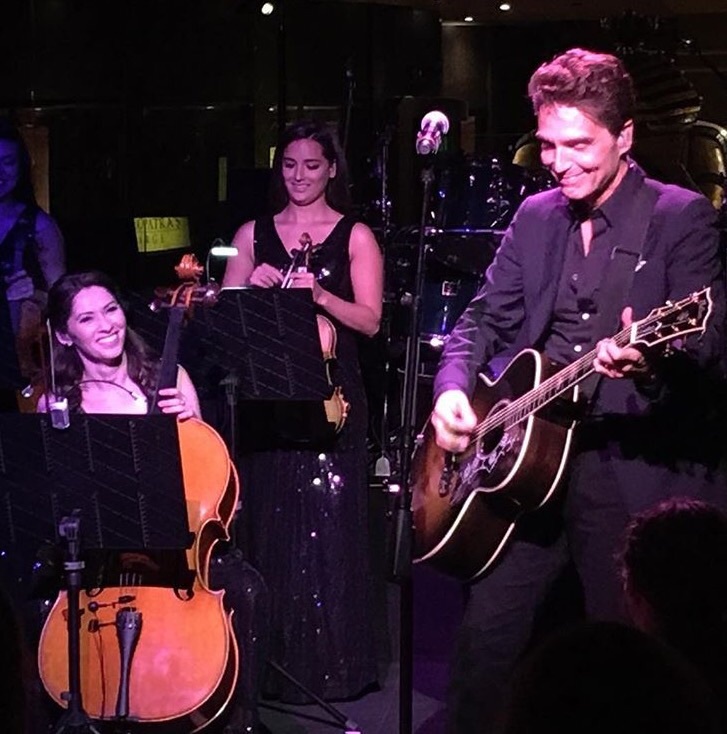 I grew up listening to “Right Here Waiting,” and never in a million years did I think I would be up onstage performing it with Richard Marx himself.